When I think about what's probably going on in the mind of an interior designer, my world suddenly becomes futuristic from all points of view. Take for example this elegant and simple white chair designed by Erwine and Estelle Laverne in the early 1960's. If this is what they thought about back then, I'm more than curious to find out what's coming next. It doesn't matter if it's art as long as it's functional. 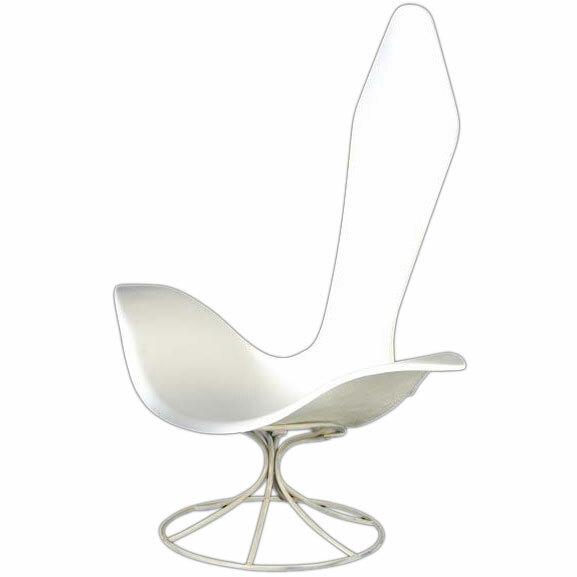 The Tulip white chair is made out of a so called Pastili material, or a two part glass fiber casting to create the shininess effect. It's simple and sculptural shape, clearly intends to bring more light to both indoor and outdoor environments. Bring the high end fashion sensibility of Laverne Furniture into your space and enjoy the graceful contours reflected by the Tulip revelation.